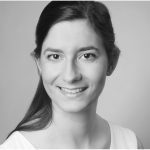 Danai E. Gavranidou received her Undergraduate degree at Theatre Studies Studies at Ludwig-Maximilians-Universität in Munich and obtained a master’s degree in Theatre Studies at Freie Universität Berlin in 2017. During her studies she focused on the role of the audience, posthumanism and Game Studies. This resulted in a master thesis on children as videogame players. To this day video games have often been attacked for their supposed negative impact on their audience. These attacks become especially fierce when the consumers are children, as this specific group is both valued and generally perceived as not being able to protect themselves against possible threats. This talk seeks to display research from the field of Game Studies that places the game in the everyday life (of children) and focuses on the contexts, situations, and socio-political relations of gaming. Thus, the emphasis no longer lays on the immersive, virtual experience that is perceived as threatening to young recipients.